Three decades after its release, Labyrinth, starring David Bowie and Jennifer Connelly, continues to enthral audiences with its winning mixture of whimsical humour, fantastical creatures and unforgettable music. 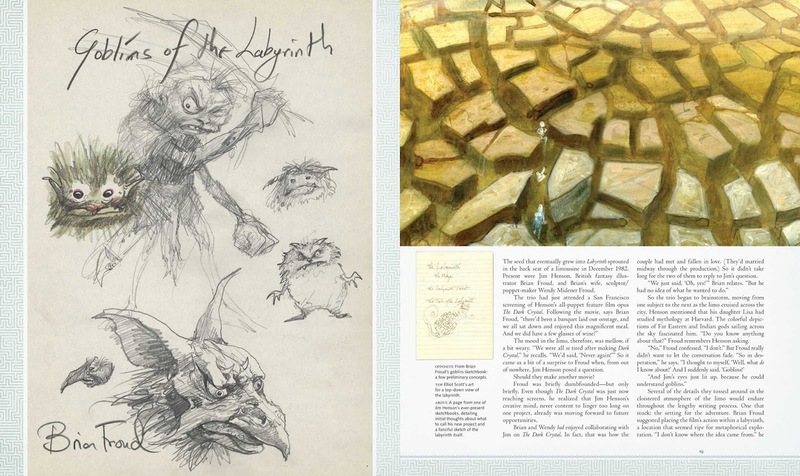 Filled with a wealth of rare and unseen behind‐the‐scenes imagery, Labyrinth: The Ultimate Visual History explores the creation of the film as seen through the eyes of the artists, costume designers, and creature creators who gave the beloved fantasy classic its distinctive look. Featuring exclusive interviews with the talented crew and cast, including Jennifer Connelly, Brian Henson (Jim Henson's son), Brian Froud (whose son Toby also played Baby Toby in the film) and George Lucas, this deluxe book brings together a wealth of rare sketches and concept art with numerous insert items, such as story notes from Jim Henson, sketches from character designer Brian Froud and many more treats for fans of the film. With stunning visuals and unparalleled insight into the creation of a true modern classic, Labyrinth: The Ultimate Visual History is the perfect companion piece to one of the best‐loved fantasy films of all time. 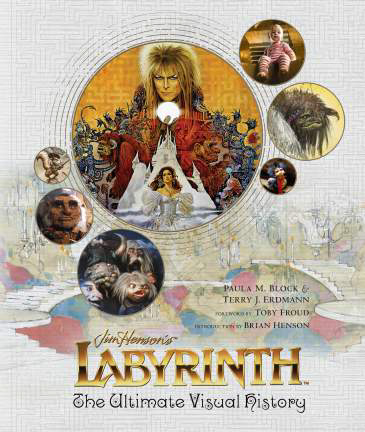 Labyrinth: The Ultimate Visual History arrives on shelves October 21, 2016. Paula is also the co‐editor of Pocket Books' popular short story series Star Trek: Strange New Worlds and has been a columnist for the Chicago Sun‐Times, the Midwest correspondent for Biotechnology Newswatch, and the international editor for Chemical Week. After 19 years overseeing and editing licensed publishing for Paramount Pictures and CBS Television, Paula moved to Southern Oregon, where she and her husband Terry write a monthly entertainment column for The Jacksonville Review. Terry is the also co‐author of The Last Samurai Official Companion and The Tribble Handbook. As a motion picture publicist, he helped to create the marketing campaigns for dozens of films, from Cocoon, Aliens, and Willow, to What’s Love Got to Do With It, Father of the Bride Part II, G.I. Jane, and Star Trek V: The Final Frontier. Toby Froud (who provides the Foreword for the book) is a puppet designer and fabricator. He began his life as Baby Toby in the film Labyrinth and is currently a puppet sculptor at the stop‐motion company Laika, where he has worked on ParaNorman, The Boxtrolls, and the upcoming Kubo and the Two Strings. He lives in Portland, Oregon, with his wife and son. Brian Henson (who wrote the Introduction for the book) is Chairman of The Jim Henson Company and an Oscar and Emmy Award‐winning technological innovator. He is also an award‐winning director, producer, writer and puppeteer for film and television. He lives in Southern California.